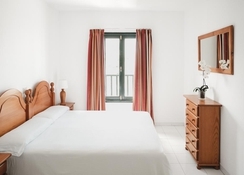 If you’re thinking about three-star facilities and pocket friendly accommodations, Sol Apartmentos in Costa Teguise might just meet all your search criteria. Just a short walk from a fabulous sandy beach, the hotel has comfortable furnished guestrooms and balconies/terraces that offer excellent views. The brightly painted rooms are furnished with twin beds, safe deposit box, air conditioning, TV with satellite, private bathroom with amenities and Wi-Fi. Designed to offer rooms-only and self-catering accommodations, the hotel serves only lunch at the poolside café and provides proximity to the main strip. The airport at Arrecife is a short drive away. 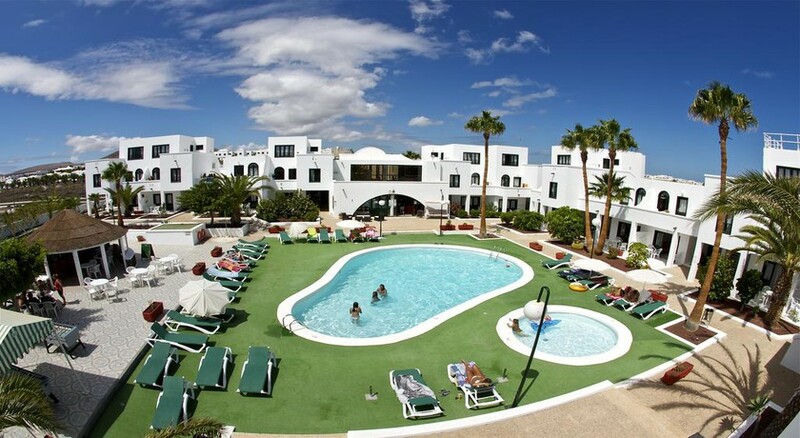 Sol Apartments, a popular destination among couples and families, is situated in Costa Teguise, the eastern part of Lanzarote Island. This is a seaside property is built around a swimming pool—about 500 metres from the beach. Within a couple of minutes’ walk you’ll find restaurants, bars, clubs and shops, also known as the main strip. There is a bus stand pretty close to the hotel, in case you want to visit Arrecife, the capital town which is about 8.7km, Playa Honda (13.4km), Los Poccillos (20km) and Puerto del Carmen (3km). Both the harbour and the airport are located in Arrecife, and they are at a distance of 15km and 6.5km respectively. 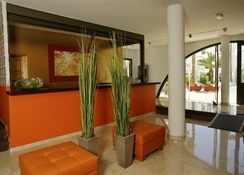 Equipped with 52 one bedroom apartments, Sol Apartmentos is a three-star hotel. Its rooms are designed to offer comfort and good sleep quality to guests. You can make your own meals as there is kitchenette in all the accommodations, fitted with dining table and chairs, electric stoves, electric kettle, toaster, microwave and more. Most of the rooms have single beds—they can be turned into double bed. Standard facilities include safe deposit, air conditioning, TV with satellite, private bathroom with amenities, Wi-Fi internet, private balcony/terrace, sand more. Rooms are colourful and bright and they are cleaned regularly—towels and linens changed regularly. Sol Apartmentos offers rooms-only and self-catering boarding options, but you can have lunch at the poolside bar between 12pm – 4pm. The menu offers fresh and scrumptious homemade food along with a collection of local delicacies. Try the local beer or cider drinks that come within pocket friendly budget, or you can also have the regular mocktails, cocktails and wine. For breakfast and dinner, you can explore the neighbourhood that houses scores of restaurants, bars and cafes. There are two outdoor swimming pools, one for adults and the other for kids—loungers, parasols and lilos are available. You can also visit the beaches—there are two sandy beaches and distances to both the beaches are 500 metres. Costa Teguise is famous for water sports activities, you can choose to soak or bask on the beach or try out some non-motorised sports such as windsurfing, kitesurfing, surfing and sailing. Diving and fishing are also popular activities, other than golfing in Costa Teguise Golf Club, and hiking and camping around the rocky beaches and in the volcanic mountains. 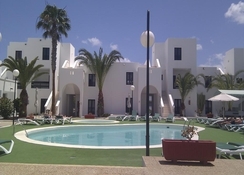 Clean hotel, nice atmosphere, walking distance to beach and good link for excursions. Only thing that let it down is the view at the back of the apartment. Old abandoned buildings looked scruffy but the location is quiet and pleasant. Great relaxing place. We loved everything about the sol. All round great location, good amenities. Great place to stay.